Summertime is the best time to visit SoCal amusement parks. With kids on summer vacation and unpredictable heat waves making everyone restless, parks can be a quick day trip up the coast or a weekend getaway to recharge. 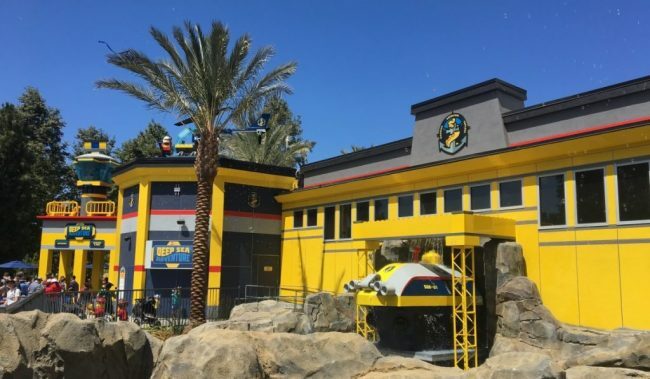 This summer, LEGOLAND® California Resort is adding allure to their already inspiring landscape of fun and adventure with the opening of the new LEGOLAND® Castle Hotel and LEGO® City: Deep Sea Adventure submarine ride. An already iconic Carlsbad landmark, the Resort is adding enjoyment to the existing LEGOLAND California Theme Park, LEGOLAND® Water Park, and SEA LIFE aquarium. The new LEGOLAND Castle Hotel is a sprawling and exciting addition to the Resort. 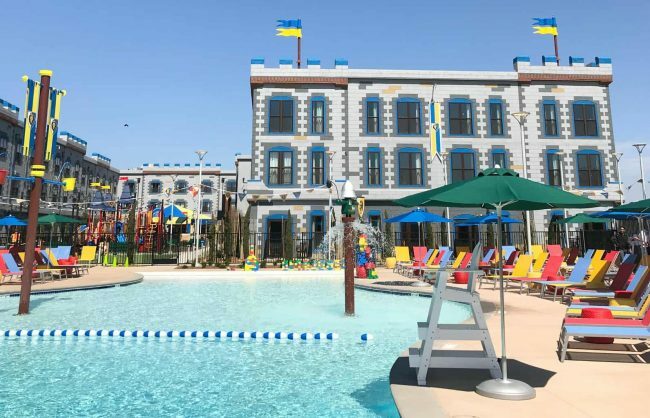 Out of LEGOLAND’s two lodging options at their California location, this new hotel boasts a medieval theme with fully themed rooms and entertainment. The Castle is the first of its kind in the United States, offering guests their choice of three different LEGO® themed room styles. 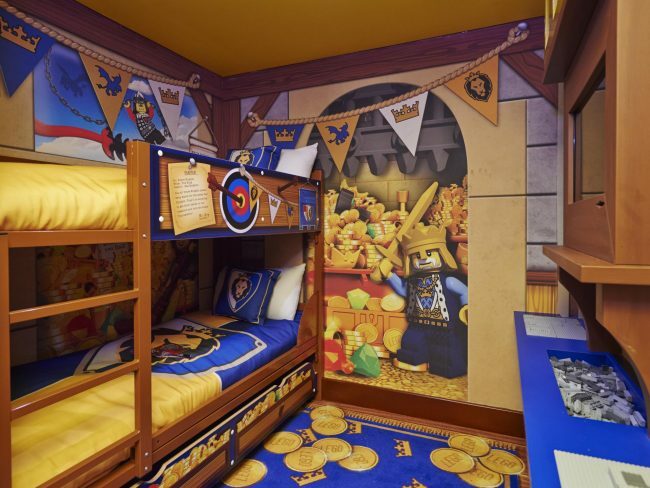 Little ones will feel as if they’re in the middle of a magical medieval adventure in the Knights and Dragons, Royal Princess, or Magic Wizard themed rooms. There are also separated kids’ areas in each room with LEGO building tables and a scavenger hunt. 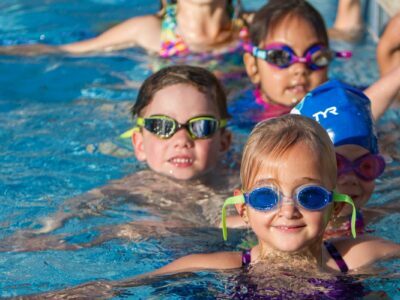 Outside, there is a zero-entry pool for families of all sizes, a courtyard with spots for children to interact, and a DUPLO® area for younger kids. This is all completed with an outdoor stage for nighttime entertainment. In addition to the British accents and playful surprises scattered throughout the Hotel, the property also boasts a full-service restaurant. Dragons Den Restaurant and Bar is a sit-down restaurant with an open kitchen for guests to have full transparency about how their meals are being prepared. The ambience of the Castle overflows into the restaurant. LEGO dragons sleep lazily on top of the fireplace while knights protect visitors from harm, providing an enchanting experience for all guests this summer. Beyond these new accommodations, the park also has a brand-new ride located within its gates. The new LEGO City: Deep Sea Adventure submarine ride was created after the line of LEGO® City toys. Guests are fully submerged underwater with an exciting view of life under the sea. Riders search for lost treasure and experience a wide array of live sea creatures like sharks, rays and tropical fish. Gold coins and scuba divers keep guests on their feet as they explore the color and mystery of life under water. Modern technology is incorporated throughout the adventure with interactive touchpads and the ability to build a virtual fish from LEGO and release it into the wild. With all there is to see at LEGOLAND California Resort, an annual pass is a good investment. Families can visit multiple times throughout the summer and experience something new every time. 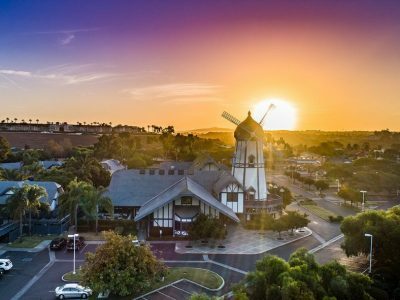 Book an extended stay in the LEGOLAND Castle Hotel or come ready to explore the LEGO City: Deep Sea Adventure submarine ride for an awesome encounter at one of Carlsbad’s favorite places.